So, just in case you’ve missed out on any of the latest releases, we at Cognac Expert have put together a list of some of the best ones, so you can enjoy working your way through them. 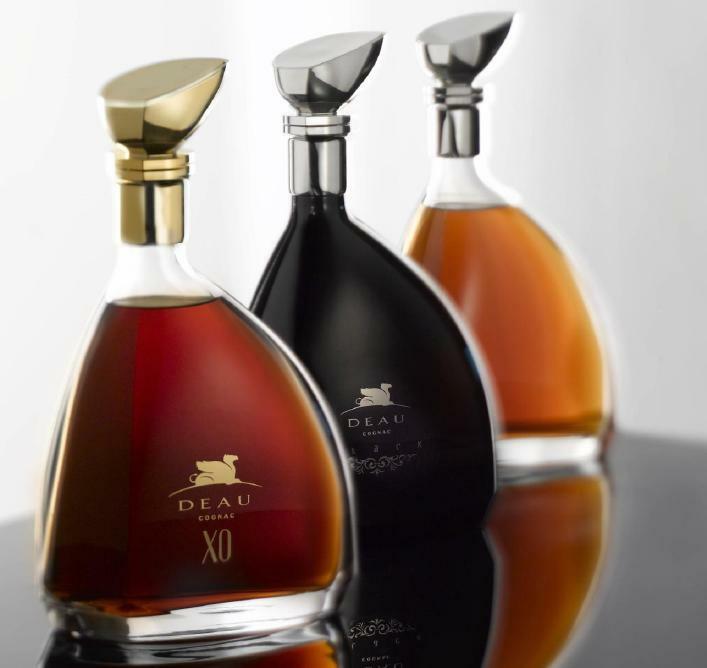 This trio of cognacs by Deau are presented in classic, clean lined bottles and consist of the following: Deau XO Cognac, Deau Black Cognac and the top of the range – Deau Louis Memory produced from very old cognacs from the Grande Champagne growing region. Read more about the Deau cognacs. This self-styled, ‘revolutionary’ cognac was introduced to the Courvoisier range in February this year. Designed to be enjoyed chilled, the 100 per cent C by Courvoisier Cognac definitely has a gangsta edge – both in taste and with the funky bottle design. 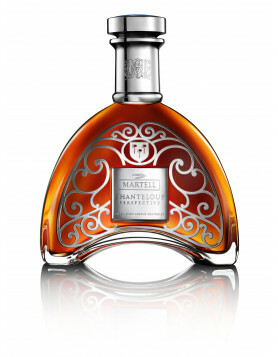 This delight from Martell was launched in China in November 2011, actally we (Max) tasted it the day it was kicked-off, in the actual Chateau de Chanteloup in the cognac region, see the Tasting“>article. This extra quality cognac is a blend with a strong leaning to eaux-de-vie from the Borderies growing region, and a taste not that far removed from Cordon Bleu. This limited edition of only 400 bottles was launched in October of last year. 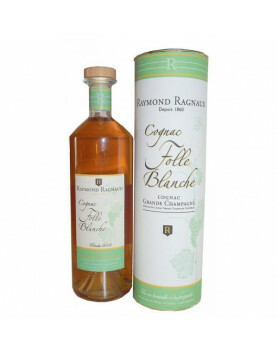 100 per cent Folle Blanche produced eaux-de-vie, single estate Grande Champagne – this is an authentic, artisan produced cognac that offers excellent value for money. 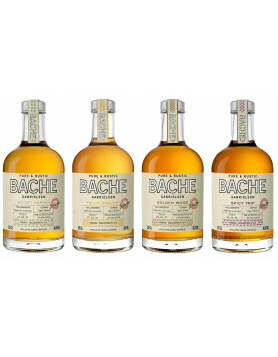 We discovered the cognac during a visit at Bache Gabrielsen. Launched earlier this year, Rémy Martin Centaure de Diamant Cognac (slightly rebranded) slots neatly into the Remy range just below Louis XIII. Pure Grande Champagne, this is a blend of 300-400 of the best cognacs stored in the Rémy Martin cellars. Not to be confused with the Centaure de Diamant mentioned above, Rémy Martin Centaure Extra Old Cognac is a new product solely available in mainline China. Made from 25 per cent Petite Champagne and 75 per cent Grande Champagne eaux-de-vies, this is billed as being between a ‘club’ and an XO quality. As the name suggests, ABK6 Ice Cognac is drunk cold, on the rocks – and, unlike many other similar versions, is genuinely a cognac – and the colour that you expect a cognac to be. Presented in an ultra-cool, icy white coloured bottle, this is a niche product that sits nicely with various other ‘ice cognacs’ on the market. … strange, strange… a pure Duty Free product? Who buys this? Anyway: 0210 launched a range of cognacs – all presented in classy and stylish bottles. The 0210 Extra Cognac is a pure Grande Champagne blend of eaux-de-vie aged up to 40 years, whereas the 0210 Amber XO Cognac is a blend of Grande Champagne, Petite Champagne and Borderies aged up to 25 years. They also released the 0210 Velvet XO Cognac, with an average age of 20 year old eaux-de-vie. 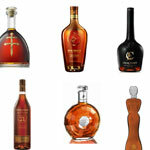 This brand new range of cognacs is the baby of Marianne Soupe – a young woman born into the world of cognac. These three Vielle Reserve Grande Champagne cognacs are beautifully presented, coming in a wooden presentation box, numbered and with a certificate. 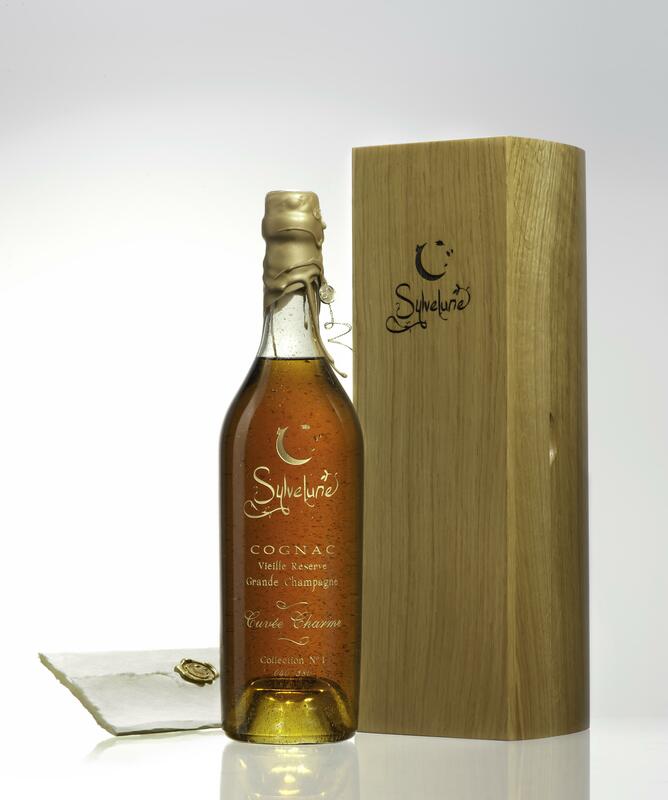 Two other cognacs are also included in the Sylvelyne range, both being of hors’d’age quality. These are the Sylvelune Lou Cognac and the Sylvelune Chaman Cognac. Okay, so it can’t technically be called a ‘cognac,’ but this sparkling eaux-de-vie from the house of Helene Raffin was recently unveiled in Dusseldorf, Germany. Brand new, innovative and hopefully, when the house makes arrangements with various distributors, Marquee Sparkling Eaux-de-Vie will be available to purchase on a global scale. Last but not least: The first two age defined cognacs to be introduced to the market, Courvoisier 12 and 21, were introduced last year. Courvoisier have taken a labelling stance more commonly seen on bottles of whisky. And perhaps the cognac house have been inspirational in their marketing, as calls for a change from the traditional VS, VSOP and XO – at least in the Asian markets – are become rather strongly proposed in some quarters..